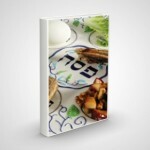 Pesach is probably the most widely known of all of the Jewish holidays. And if we would ask people what is its central theme, almost everyone would give the same answer — freedom. After all, the central focus of the holiday is the journey of the Jewish people from slavery to freedom.